Poodle Blogger: Phantom, but not of the Opera! Phantom, but not of the Opera! What a charming girl this tiny Poodle happens to be! I met her when she was at the Hickory, North Carolina UKC dog shows this Spring. Echo has a delightful "personality", seems to never meet a stranger, her little tail wagged all weekend. 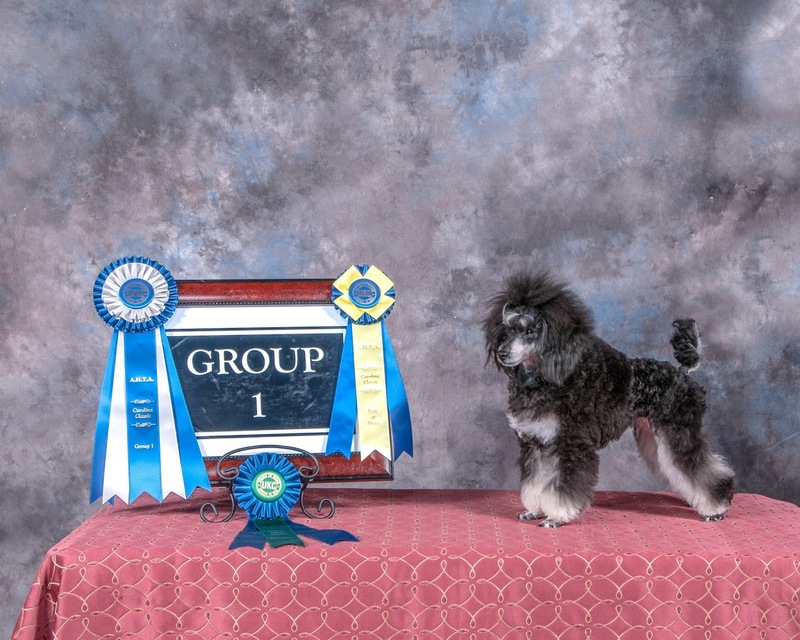 Echo's owner is Kate Landon, who was a big help to me when I was trying to figure out the ins and out of UKC shows the weekend where Echo took the win pictured above. I have been showing AKC for many years but had never been to a UKC conformation show until that particular weekend. Echo is a phantom colored Toy Poodle out of solid colored parents. Her sire is a blue and her mom is white. Echo's registered name is Vonstarr Voices on the Wind and she is quickly making her presence known at UKC shows, with many group wins and placements to her credit. 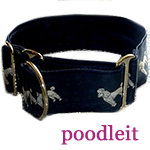 Kate reminded me that www.poodlepedigree.com is a great place to start researching pedigrees, so Echo's pedigree can be found there. Echo is groomed, trained and shown by her owner. Thanks Kate, for sharing this information about your lovely little girl. Best wishes for many more wins in the future! note: please ignore the little 1.underneath the text.. Every now and then, Google's Blogger program and I just don't seem to get along. Today is one of those days. Every time I try to delete the "1" all of the text goes away along with it! Melanie S.
Hi, nice blog i discover your website while browsing for groodle puppies for sale. Have a nice day! Whole New Meaning to Field Poodles!